Whatever happened to the concept of a Legal Counselor? 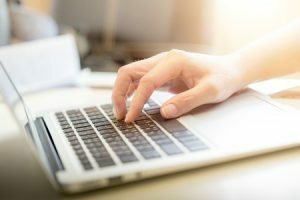 A top rated attorney on Avvo.com, Ms. Brown has responded to more than 9,000 litigant questions and has enjoyed a “Superb” reputation for more than five years. Leveraging the convenience and accessibility of technology by providing instant access to legal answers and support. Our firm helps you document the most important information about your legal matter. By allowing the use of technology to preserve more of your legal budget for thoughtful discussion and the development of an effective legal strategy, our firm stretches your legal dollar further than most. Consulting with a lawyer is as simple as submitting a request for an appointment below, sending us an email, or picking up the phone and calling us right away. We have appointments available during the business day, or in the evening. Many of our clients still prefer to confer face to face during regular or evening business hours, and not to share details on the phone or electronically. However for people who are comfortable sharing electronically, we also consult by telephone, webcam, or other electronic means. When legal intervention is required to deal with family conflicts, it can cause great emotional distress for everyone involved. This is especially true when a couple decides to divorce. Divorce involves not only the dissolution of marriage, but also the separation of living quarters, division of marital assets and debts, spousal support, child custody arrangements, and child support obligations. The outcomes in a divorce proceeding can have far-reaching implications for your future. With so much at stake personally and financially, it’s critical to seek the counsel and expertise of a skilled divorce attorney capable of protecting your rights and advocating for your best interests. 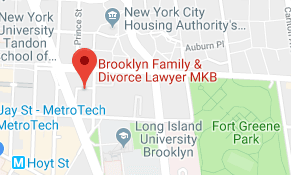 At Brooklyn Family Divorce Lawyer Mary Katherine Brown, we specialize in all areas of family law and are committed to helping families in Brooklyn, New York resolve their conflicts quickly and cost-effectively so they can attain the closure they need to move forward with their lives. Divorce lawyer Mary Katherine handles every case with the utmost sensitivity and respect and focuses on developing customized strategies that fit the unique needs of each family’s situation. Legal separation, annulment, uncontested, contested, and high asset divorce. Not all divorces need to be litigated in court. 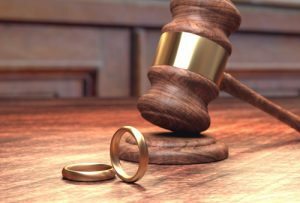 In New York, you and your spouse have the option of utilizing dispute resolution (ADR) processes such as mediation, arbitration, settlement conferences, and collaborative divorce to help you reach a marital settlement. These ADR processes are non-adversarial and designed to foster and promote cooperation and negotiation. Brooklyn Family Divorce Lawyer Mary Katherine Brown can assist you in determining if one or a combination of ADR methods would prove beneficial in your case. Dividing the marital estate is one of the central components of a divorce. We can assist with all aspects of property division including the classification of marital vs. separate property, valuation of property, and allocation of assets and debts. The end goal is to establish a property settlement agreement that is fair and ensures your future financial security. In Brooklyn, it is presumed that a spouse with a substantially greater income will pay spousal maintenance to the less financially affluent spouse unless the couple has come to their own mutual agreement. Whether you plan to seek spousal support or expect to be providing spousal support, our law office will negotiate the most favorable terms for your particular financial situation. When there are children involved in a divorce, emotions are usually at an all-time high. At Brooklyn Family Divorce Lawyer Mary Katherine Brown, we understand that it can be terribly painful to consider the possibility that you may not be able to see your kids every day. Our top priority is to help you and your spouse achieve a child custody arrangement (sometimes called a Parenting Plan) that you and your children are comfortable with and that promotes healthy parent/child relationship dynamics. Regardless of whether you live with your children on a day to day basis, you remain financially obligated and responsible for them until they are 22 years of age. Based upon the child support guidelines for New York, we will make a determination of the amount that should be paid or received and use this information to negotiate with your spouse. If you or your spouse need immediate relief while the divorce is pending for such things as spousal support, child custody, or possession of the marital home, we can petition the court to put temporary orders in place until you receive the final judgment of divorce. If you have already received a judgment of divorce and there has been a change in your financial circumstances, we can help you amend your spousal maintenance order or obtain child support modifications. These grounds can still be used today but only in the most egregious of cases in which your safety is at risk. The overarching opinion of family law judges in New York is that engaging in a he/said she/said battle is a waste of judicial resources, time, and money. If you and your spouse have agreed to part ways amicably and have reached consensus on all the major issues related to the dissolution of your marriage, you can file for an uncontested divorce. An uncontested divorce enables you to settle matters outside of court without interference from a judge. The process ensures privacy for you and your family and is quicker and more cost-effective. When issues are negotiated in good faith, the end result is a mutually beneficial marital settlement agreement. This agreement is prepared by your attorney and submitted to the court for approval. 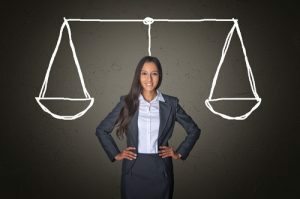 While it’s true that uncontested divorces are generally straightforward and devoid of “drama,” it’s still not wise to attempt to appear “pro se” (represent yourself in a divorce). Even the most basic “no-frills” divorce averages around 57 pages of documentation that need to be properly completed and filed with the court. Many of these documents have deadlines, compliance and accuracy requirements that rely upon familiarity with the process, procedures and typical responses of the courts. Understanding the expectations of the jurists and their support staff to serve the needs of the community, helps to streamline the efficiency and expense of your case. What may appear obvious in a statute, may be very complicated by precedent or procedure, and when and how certain issues are brought up for consideration are not intuitive for self-represented parties. 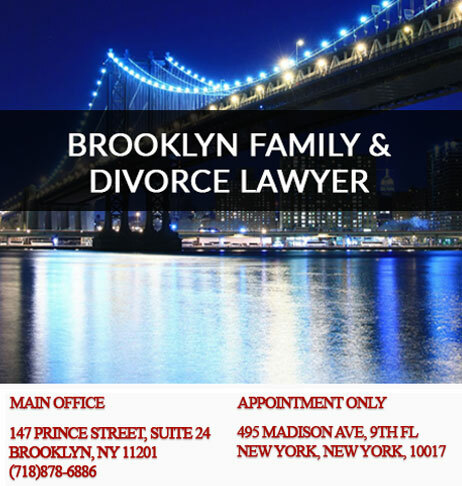 Brooklyn Family Divorce Lawyer Mary Katherine Brown can prepare all divorce documents in a simple, uncontested divorce for as low as $1500 but that rarely actually happens. What are reasonable expectations? Why? It might be humorous, but it is still true, “You really don’t know someone until you’ve divorced them!” So while you are optimistic and anticipate an amicable, reasonable parting, and we all hope you’re right… hurt feelings, revenge, illness or disability… these are all conditions that may impact the trajectory of your divorce immediately. Filling out forms is not the same as competent legal representation and that requires compassionate, competent communication and advise. The complexities and nuances of the Family and Matrimonial Court System in New York can be difficult to navigate and it is not worth the risk of jeopardizing the outcome of your case. There’s also no guarantee that an uncontested divorce will not become contentious despite initial goodwill, which makes an attorney even more valuable in terms of anticipating and safeguarding your interests. Reasonable retainers will range as little as $5000 but are more often $20,000. One spouse commences a divorce action by purchasing an index number from the county clerk and files a summons with notice or summons and complaint with the county clerk’s office. A process server must serve the summons with notice or summons and complaint upon the non-filing spouse. The spouse who has been served divorce papers has 20 or 30 days to respond to the divorce action. In the response or answer, a counterclaim can be included noting demands pertaining to spousal support, equitable distribution, child custody, visitation, and child support. Both spouses must file a request for judicial intervention or RJI with the court which is a formal acknowledgment of the divorce and asks the court to schedule a preliminary conference date. Each spouse must complete an exchange extensive financial net worth statements disclosing all assets and debts 10 days before the preliminary conference. 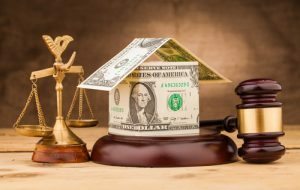 These statements will serve as a blueprint for how property will be divided and how spousal or child support will be calculated. At a preliminary conference, a judge will make a note of which issues in the divorce have already been resolved and which issues remain in dispute. A minimum Retainer of $2500 is required, but in most cases, the Retainer will be much more. Under special circumstances, we will accept a payment schedule for up to one year. Property acquired by either spouse before the marriage is considered separate property and is not subject to equitable distribution. Separate property may include inheritances, gifts, and personal injury awards. There are instances in which separate property can be reclassified into marital property. This can occur if one spouse changes the title of a home he/she purchased before the marriage to joint title in both spouses’ names. This would be considered a gift from one spouse to the other converting previously separated property into marital property. The lines between marital and separate property can become even more blurred when property is co-mingled. This can happen if one spouse deposits an inheritance into a joint bank account then uses those funds to pay marital expenses. 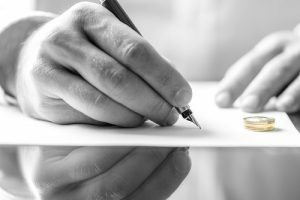 The Law Offices of Mary Katherine Brown can help you distinguish between marital and separate property and will aggressively assert your preferences. Spousal maintenance or alimony is a court-ordered mandate that requires one spouse to provide financial assistance to the other spouse during or after a divorce. Spousal maintenance is often awarded by the court when there is a large discrepancy in income between the spouses. Maintenance may be awarded to either spouse without regard to gender. In New York, spousal maintenance is temporary or permanent/post-divorce based on the needs of the non-wage earning or lower-wage-earning spouse. If financial support is urgently needed during a divorce proceeding, a spouse can petition the court for temporary spousal maintenance. Temporary support payments are designed to help during a period of transition and to ensure that the spouse seeking support is able to maintain the same standard of living experienced during the marriage. Temporary spousal maintenance is distributed for a pre-determined term period and is often terminated after a Judgment of divorce has been issued. There is a specific formula used to calculate temporary spousal maintenance as well as a formula for maintenance paid in conjunction with child support. 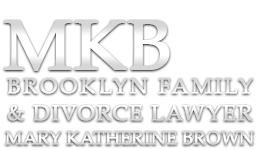 Brooklyn Family Divorce Lawyer Mary Katherine Brown can crunch the numbers for you! Restitutional spousal maintenance is given to a spouse who supported the other spouse while he/she attended school. This type of support is temporary. Rehabilitative spousal maintenance is the most common type of support awarded in a New York divorce. This type of support is meant to assist one spouse who needs to go back to school or learn a new skill in order to become self-sufficient and earn a satisfactory living. Rehabilitative spousal support is temporary. Brooklyn Family Divorce Lawyer Mary Katherine Brown is an engaged and compassionate child custody attorney and always encourages couples to work together to establish a voluntary custodial agreement and visitation schedule otherwise a judge will make these decisions for you. New York divides child custody into physical and legal custody. 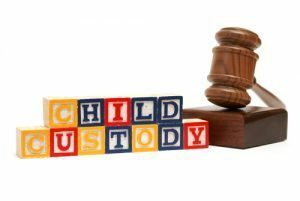 Physical or residential custody refers to where the children will live and with whom whereas legal custody involves who has the authority to make decisions regarding the children’s well being such as where they go to school, what doctor they see, or what religion they will practice. There are a variety of child custody arrangements in New York, but in most cases, the court is looking for parenting time that supports both the financial and psych0-social needs of your children. Breaking up the marriage does not mean that children have to be raised without the same priority and values. In sole custody arrangements, one parent has physical custody, takes care of the kids most of the time and makes the major decisions affecting their well-being. 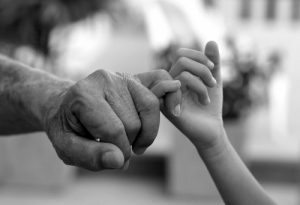 In joint custody arrangements, both parents spend substantial time with the children and share in the decision making responsibilities. The governing principle in child custody cases in New York is to make decisions that are in the best interests of the children. As a parent in New York, you are financially responsible for your children until they reach 22 years of age. In a divorce, the non-custodial parent is required to pay a percentage of his/her income to the custodial parent as child support. When you need help with a family matter, call Brooklyn family lawyer Mary Katherine Brown to get help. The Family Court of the State of New York is a specialized court which has jurisdiction over cases affecting the lives of children and families. The Family Court Act grants the Family Court broad authority to make legal decisions on a wide array of domestic matters. A case in Family Court is called a proceeding and each is assigned an identifying letter or docket number. The only family law matter that cannot be heard in Family Court is divorce. Divorce actions are under the jurisdiction of the Supreme Court. If any of the issues above are being addressed in the context of divorce, they will be transferred to the Supreme Court. In New York, each of the five boroughs has its own Family Court. New York County (Manhattan) Family Court is located at 60 Lafayette Street, NY 10013; in lower Manhattan, between Franklin and Leonard Streets. Kings County (Brooklyn) Family Court is located at 330 Jay Street, Brooklyn 11201, in downtown Brooklyn. The Queens County Family Court is located at 151-20 Jamaica Ave. Jamaica, NY 11432, across from the Rufus King Park. Richmond County (Staten Island) Family Court is located at 100 Richmond Terrace, Staten Island 10301; two blocks west of St. George Terminal. The Bronx County Family Court is located at 900 Sheridan Ave, Bronx NY 10451 (corner of 161 Street). Family law cases are heard by judges, court attorney referees or judicial hearing officers, and support magistrates – not juries. Judges preside over most Family Court hearings. Court Attorney Referees hear custody, visitation and some foster care cases. Judicial Hearing Officers hear custody, visitation, adoption, family offense, and voluntary foster care placement cases. Support Magistrates hear support cases (petitions seeking monetary support for a child or spouse) and paternity cases (petitions to declare someone to be a child’s father). To bring a case in the New York Family Court, you must prepare and file a written petition with the Family Court Clerk at the courthouse in the borough where you reside. A petition is a sworn statement that specifies the type of action you would like the court to take and offers relevant facts which support why this action should be taken. A petition is a sworn statement that presents the facts of the case to the court. If you file the petition, you will be called the petitioner. If a petition is brought against you, you will be referred to as the respondent. A copy of the petition and a summons must be served upon the respondent. The Law Offices of Mary Katherine Brown can assist in the preparation and submission of a petition or response. If you are the petitioner, you will need to serve or deliver the petition to the defendant of your case. 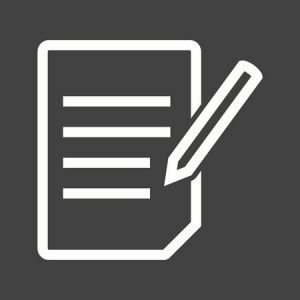 After service of the document(s), the person that served the documents needs to fill, sign and notarize an Affidavit of Service attesting to the time, date, place and a description of the legal documents served. What should be scheduled next? At the end of the initial appearance, the judge will set a date for the attorneys to see with the judge’s law clerk for a conference. This is a meeting to discuss whether the case can be settled by agreement or needs a trial. Be in court for every court appearance unless the judge says otherwise. If you are the petitioner and fail to show up, your case may be dismissed. If you are the respondent and do not appear, the judge may grant the petitioner a default giving him/her what they asked for without hearing your side of the matter. Be on time for your court date/s. Try to arrive early. If you have a last minute emergency and can’t make it to court, call your lawyer who may be able to reschedule. If you cannot reach your lawyer, contact the Family Court Clerk’s Office. When you appear in court, dress in appropriate attire. Be respectful to the judge, court personnel and others in and out of the courtroom. 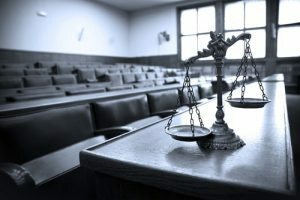 If a case can’t be resolved through alternative dispute resolution, your case will proceed to trial and a judge will make decisions for you. Most family law matters such as custody, visitation, paternity, and support cases are decided with a fact-finding hearing, otherwise known as a trial. Cases involving family offense, PINS, JD, abuse, neglect or permanent neglect are usually decided in two steps – with a fact-finding hearing first and a dispositional hearing second. During a fact-finding hearing, a judge will hear evidence in the case through the testimony of both parties, the testimony of witnesses, documents and other physical evidence and will decide if the charges in the petition have been proven. If the charges are not proven, the case is dismissed. If they are proven, the case proceeds to a dispositional hearing. At a dispositional hearing, the court will determine what the appropriate resolution is for the case. If you are not satisfied with the judge’s final order, you have the right to appeal. An appeal is a request to have a higher court (Appellate Division Court) review your case and ultimately reverse or change the order of the lower court. The Appellate Division in New York is divided into four Judicial Departments. The First Judicial Department determines appeals from orders and judgments rendered by the lower courts in New York County (Manhattan) and Bronx County. The Second Judicial Department determines appeals from decisions made in the counties of Kings (Brooklyn), Queens, Richmond (Staten Island), Westchester, Rockland, Orange, Suffolk, and Nassau. The Third and Fourth Judicial Departments hear cases in upstate and western NY. *ADR is not appropriate in cases involving domestic violence, child abuse or situations in which both parties cannot be present. In arbitration, a neutral, unbiased “arbitrator” will hear arguments and evidence presented by each side and decide the outcome. In “binding arbitration” the parties must accept the arbitrator’s decision as final and forfeit appeal. In “non-binding arbitration” the parties may request a trial if they disagree with the final decision. Collaborative law is an option for divorcing couples who wish to end their marriage in an amicable and respectful fashion. Collaborative law requires both parties to sign a pledge to negotiate in good faith and abstain from taking the case to court. Third-party experts may be called upon to join the collaborative “team” to assist in the process, some of whom may include: divorce coaches, mental health professionals, child specialists, financial experts, mediators, etc. If for some reason, the collaborative approach breaks down and an agreement cannot be reached, then the process is terminated and attorneys for both sides are legally obligated to withdraw from representing their clients. Early Neutral evaluation is a process in which a third party neutral evaluator with subject matter expertise hears arguments from both parties and provides an assessment of the case. This provides the parties with likely best and worse case scenarios and can serve as a catalyst for a negotiated agreement. Parenting Coordination is a child-focused process designed to help adversarial parents develop and carry out a parenting plan that is in the best interests of their children. A trained mental health or legal professional called a “parenting coordinator” works with the parents to reduce, mediate and settle the conflict. In some circumstances, a parenting coordinator can make decisions for the parents when they cannot agree. This is an adversarial dispute resolution process in which each side presents an abbreviated form of their case to a jury. The jury will make a decision but it is not binding unless the parties want it to be. The main purpose of a summary jury trial is to give the parties a preview of a potential verdict if the case went to trial.